Mike Gvara “Island Dog”. I lived my dream. A familiar sight for many years, Mike has left us for the next world.... I shall miss him greatly. 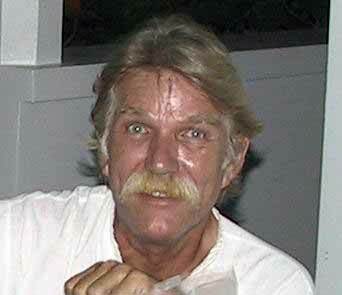 He was a veteran of the USA Armed forces, serving in Korea and wounded in Vietnam in a helicopter accident. Mike has 2 kids. Shannon Marie Gvara, Austin Texas and John Thomas Gvara, Austin Texas. Mike has a granddaughter through Shannon that is turning 9. Mike is buried in the cemetery near the Phoenix. 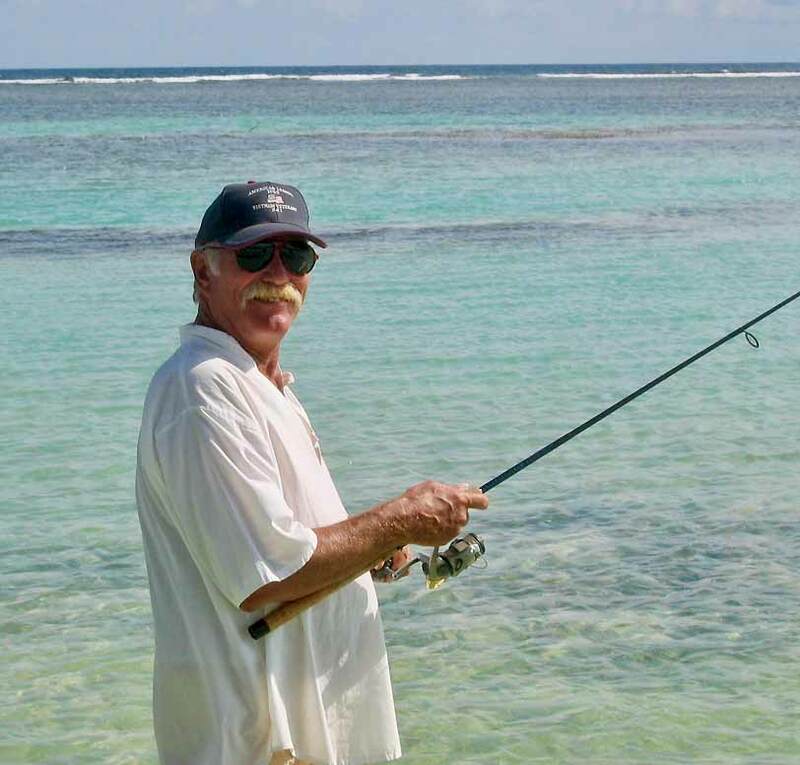 Click here to leave your condolences or to read the thoughts of others about Mike. 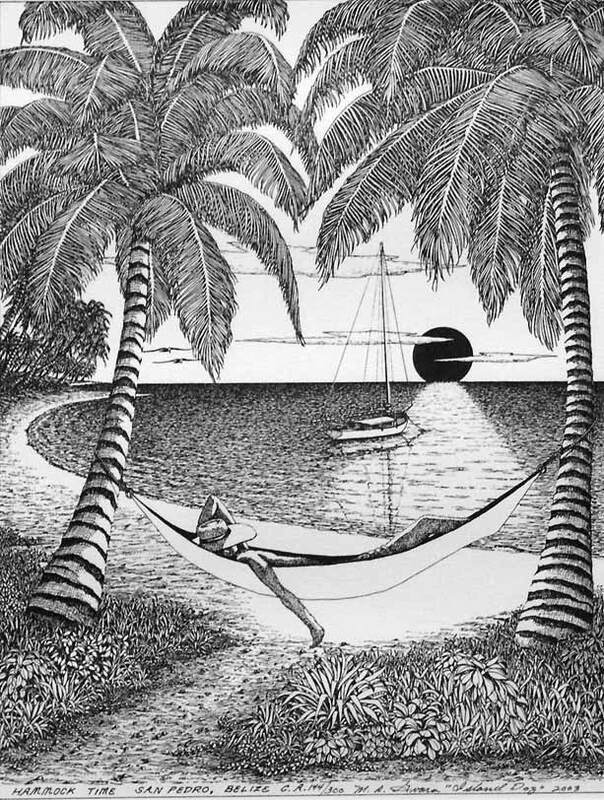 Click here <~~ for an artisticized version of the top photo, black and white the way he did so much of his work. 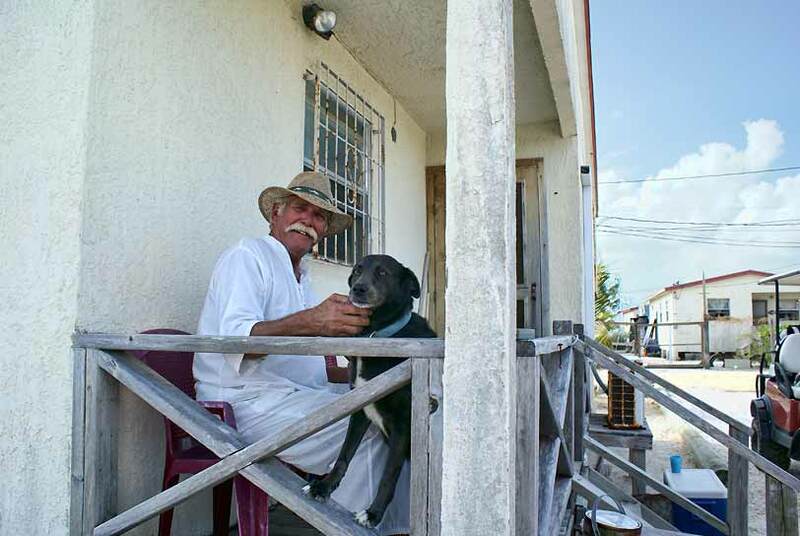 Mike and his dog "Dog", pronounced "DEE-O-GEE"
Ambergris Caye is quickly becoming a haven for many artists and those aspiring to be one. 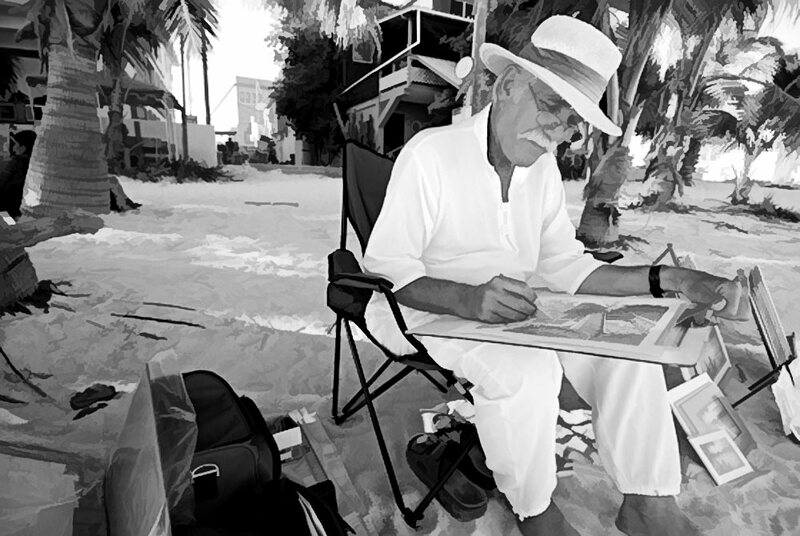 The picture-perfect sunrise and sunsets, a casual walk on the beach or the friendly face of a Mestizo laborer have been immortalized by artists in San Pedro and those visiting the island. The artists and their fascinating work contribute much to our growing community. 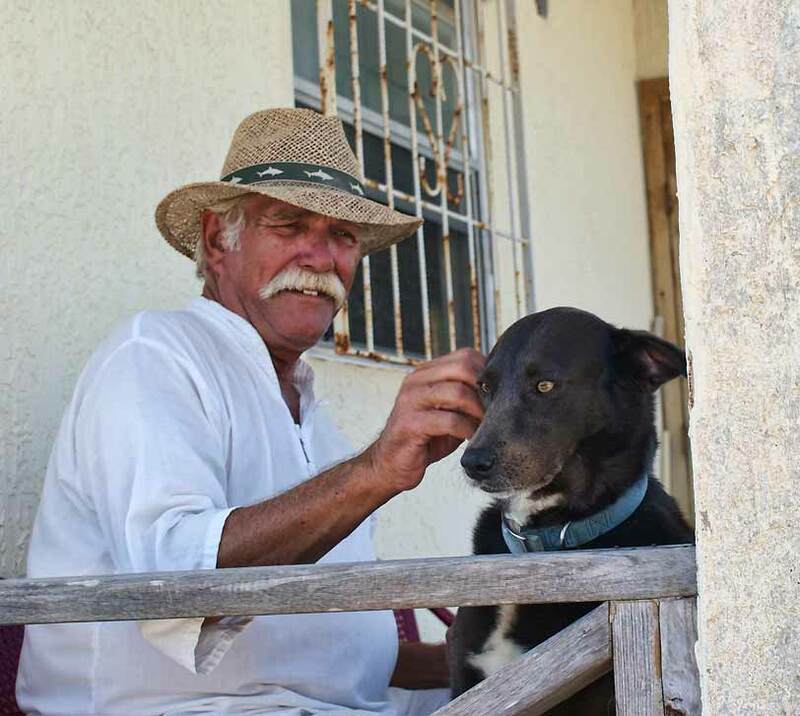 Our Belize Community is happy to introduce to you a familiar face in San Pedro who has been inspired by the island charm - Mr. Mike Gvara. 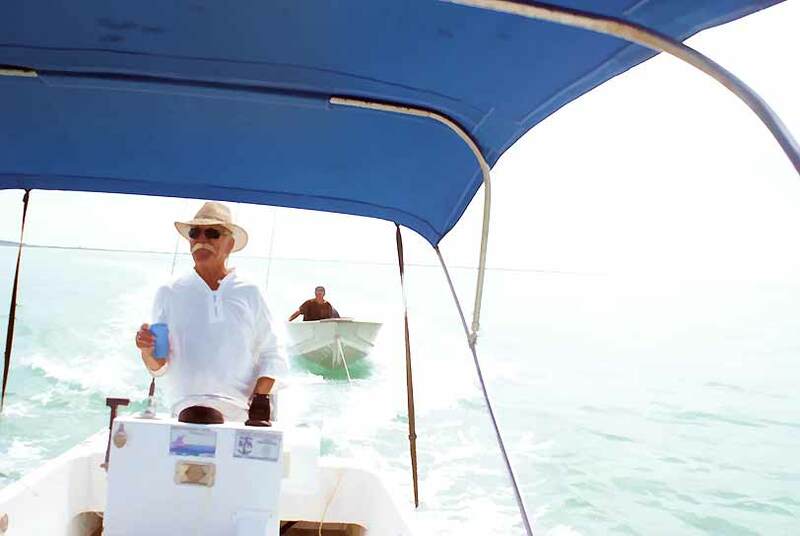 Mike, like many others who have chosen Belize and San Pedro as their home, had no intention of making Belize his permanent residence. 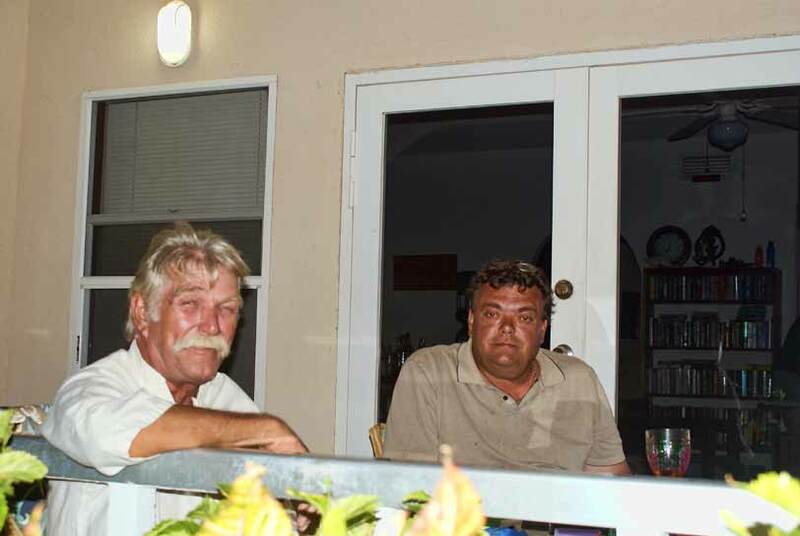 He is a father of two - a son John and a daughter Shannon of Austin, Texas, USA. He was born in Hartford, Connecticut, USA and was raised in Windsor, Connecticut where he attended high school. At the age of 18, he entered into the US Army and served for six years. During this time he did one term in the infantry in Korea and one year as a helicopter door gunner in Vietnam. After serving in the army he did on-the-job training and developed an interest in the printing business. In 1974, he commenced work at Eastern Colored Graphics running newspaper presses until 1978. He then moved to Orange County in California, USA to start a new business. Mike hooked up with a partner in Westminster and started Royal Limousine Services. This promising business proved successful to Mike and his partner until 1991. 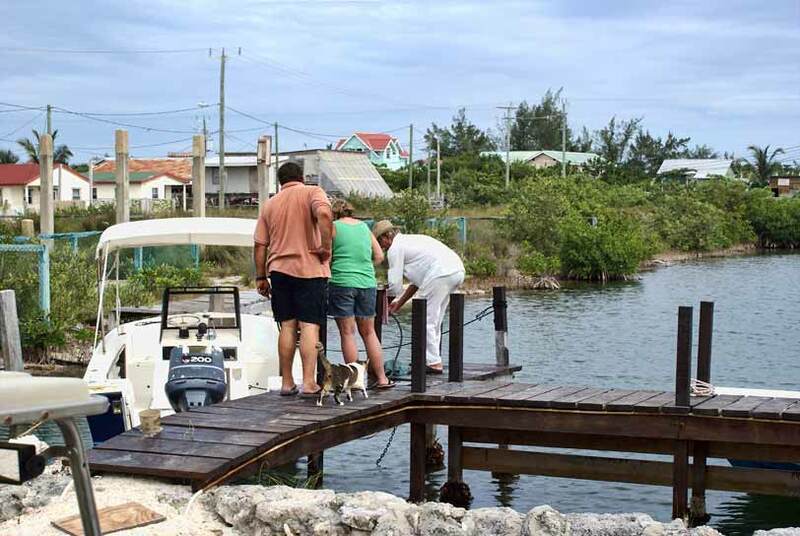 With business doing well, Mike rewarded himself with a vacation. 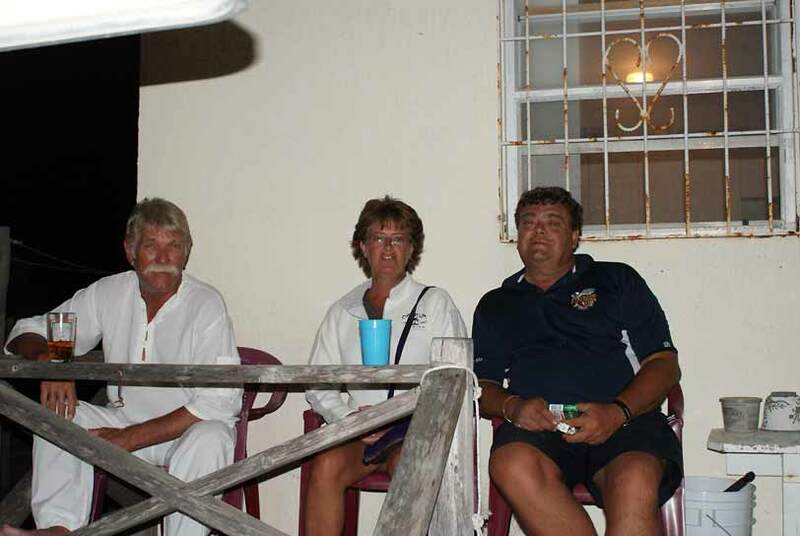 Friends had recommended a place in Central America known to them as Belize. He took the chance and set off to visit this new place. 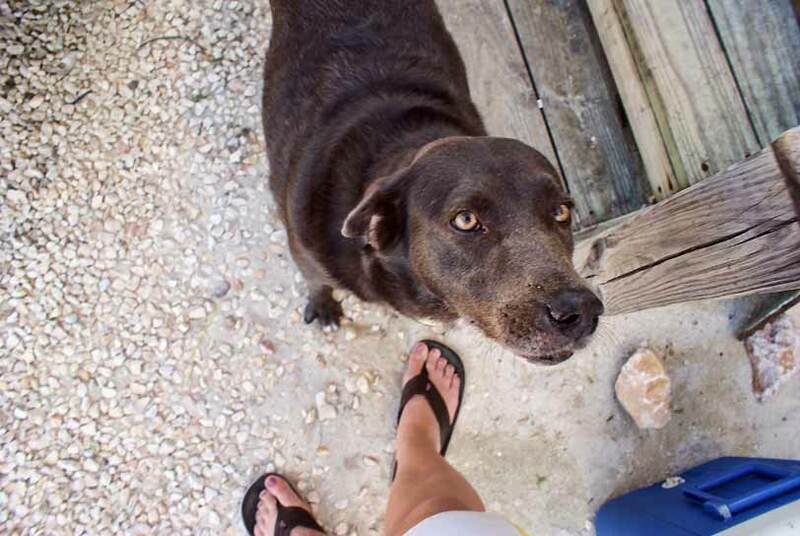 His first stop was at Caye Caulker Village where he was overwhelmed with the natural beauty and slow-paced life. What was to be a two week-long vacation turned out to be a month which then two and the rest is history. 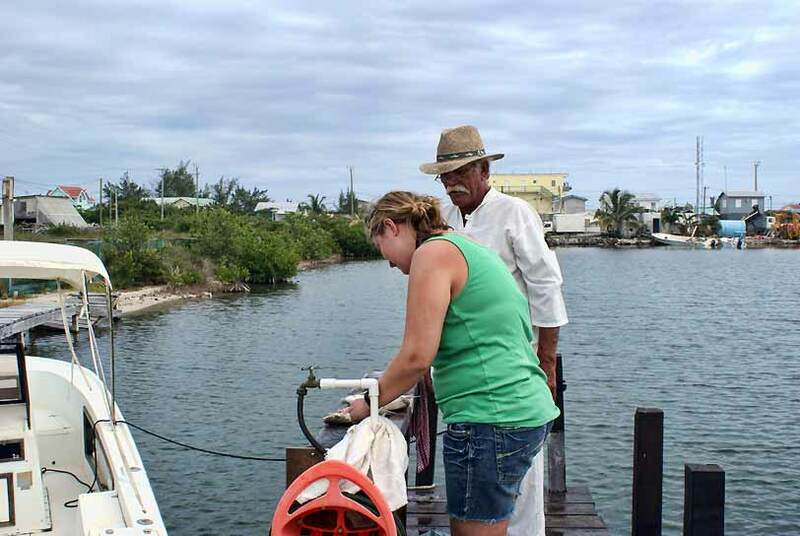 What possessed Mike to stay in this country is very simple; he had always had a keen interest to do art and Belize offered all the opportunities to make this a reality. Mike made a phone call to his partner in Westminster to sell his part of the business and the deal was done. 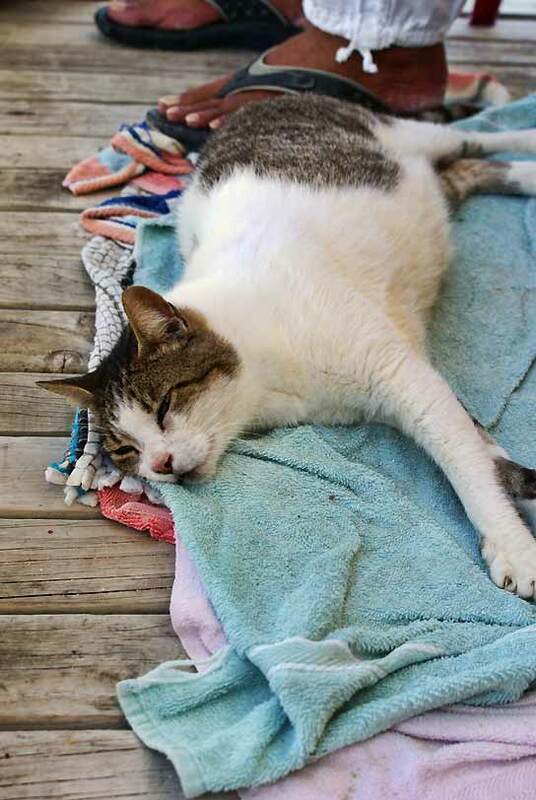 Belize was his new home. 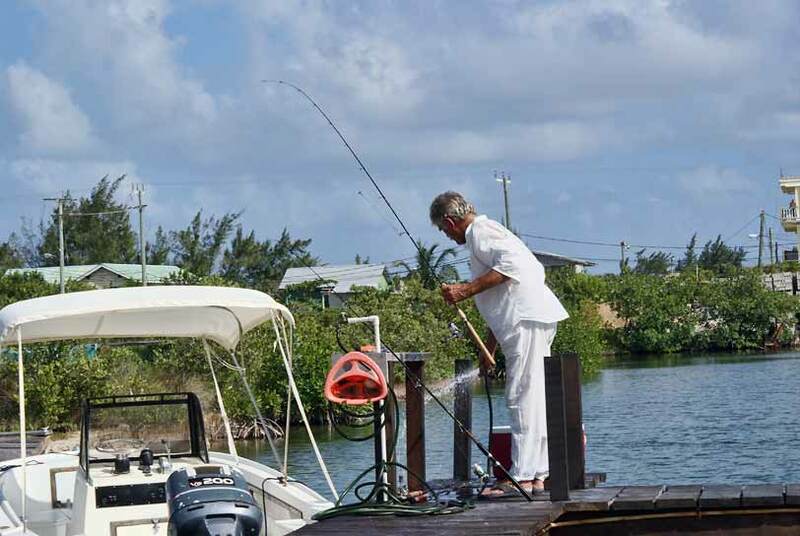 With the sale of his business he invested in a bar at Caye Caulker. 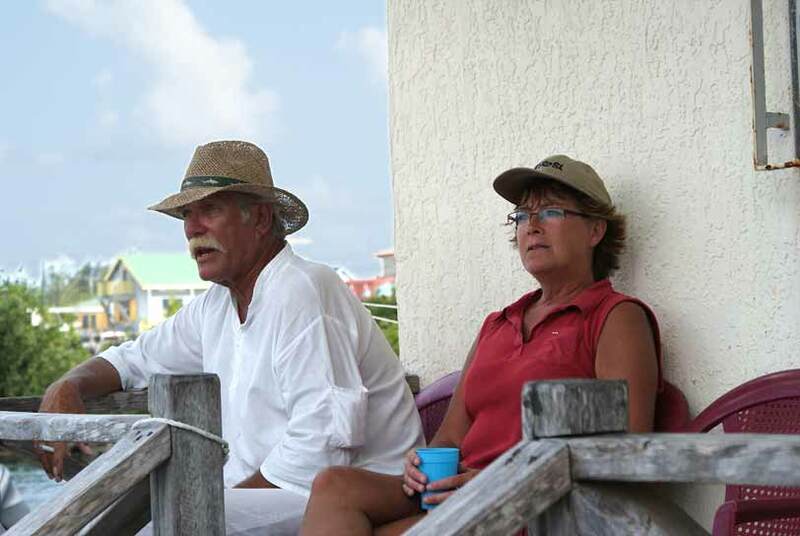 Along with his Belizean partner, Mike ran Mad Annie’s Bar for three and a half years. 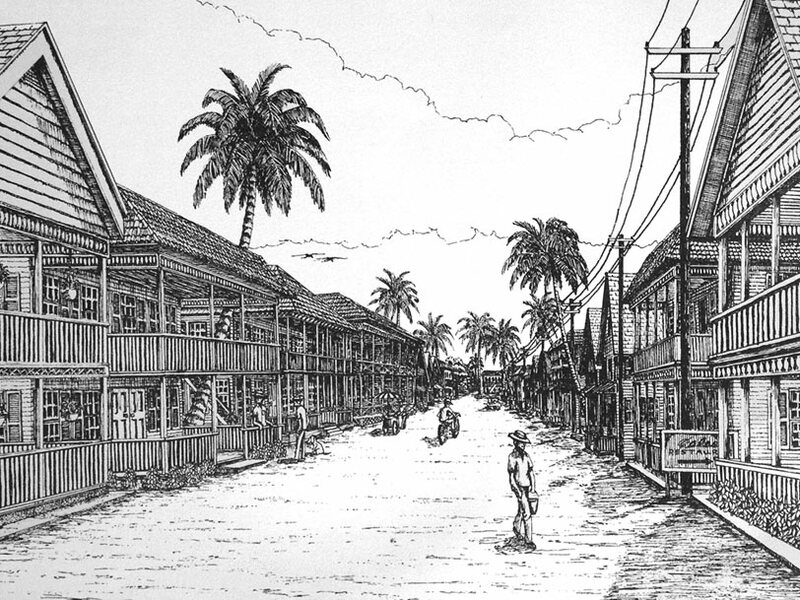 During this time he also completed three of his pen and ink drawings. 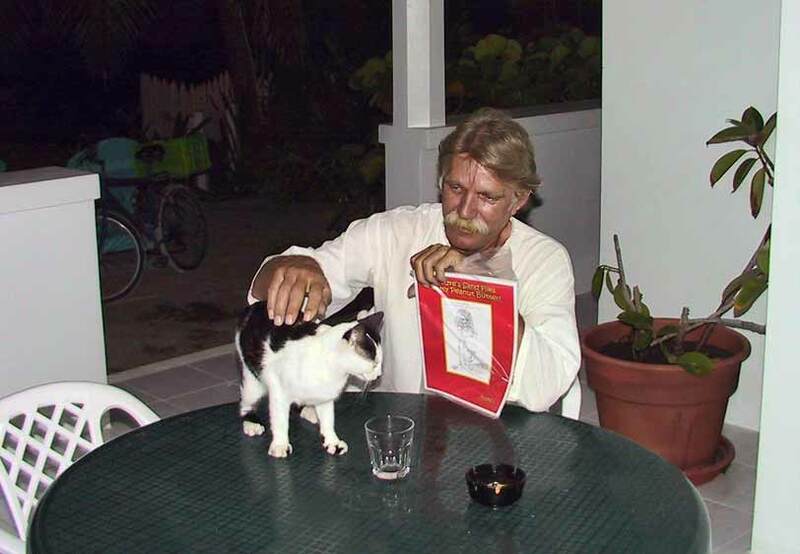 Mike then moved to the interior of Belize, near Dangriga, to house-sit for a friend. The way of life there was even slower than Caye Caulker Village and he found himself with a lot of free time. On the positive side, the surroundings were breathtaking. The scenic environment was exactly the needed inspiration to give birth to the artist inside Mike. He also started to experiment with coconut sculpturing. When his friend returned, Mike moved to Hopkins where he opened a restaurant. Mike had now lived in three different parts of the country - all of them wonderful in their own way, but he knew that to pursue his artistic desires, he would need to make one last move. 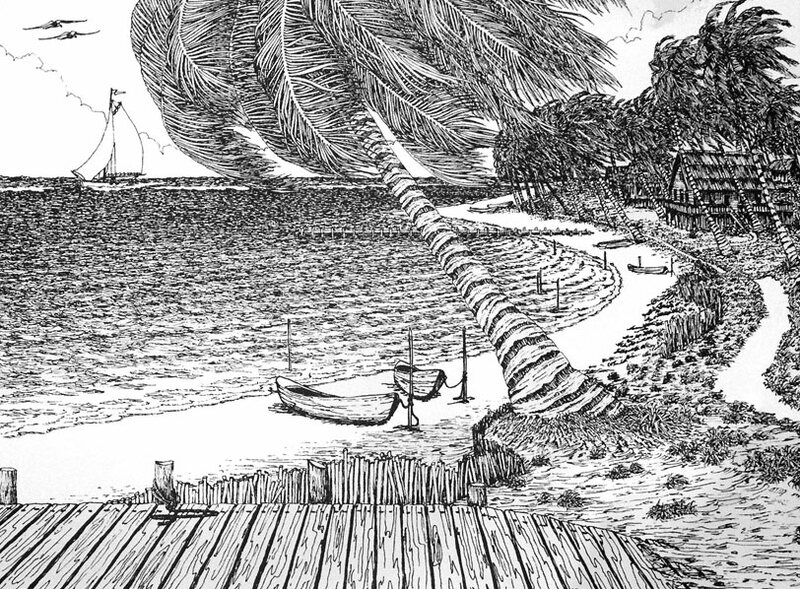 While living in Caye Caulker, he frequently entertained himself with another of his great passions - sailing. 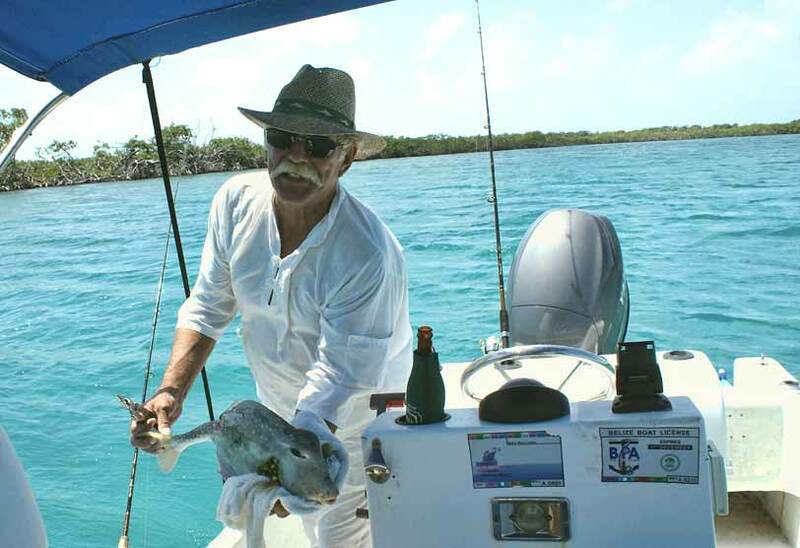 His sailing trips usually took him to San Pedro. During his trips, he made many friends and saw the great potential for his drawings. 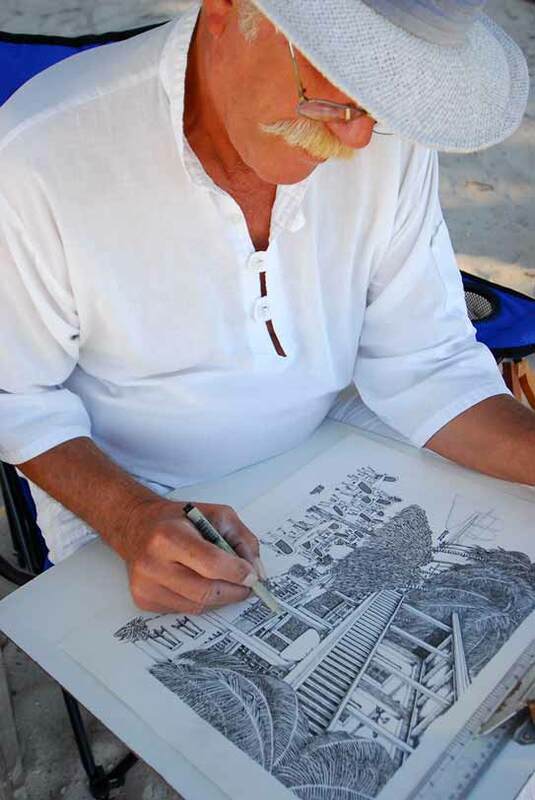 He eventually moved to San Pedro and now devotes his work time entirely to his art. 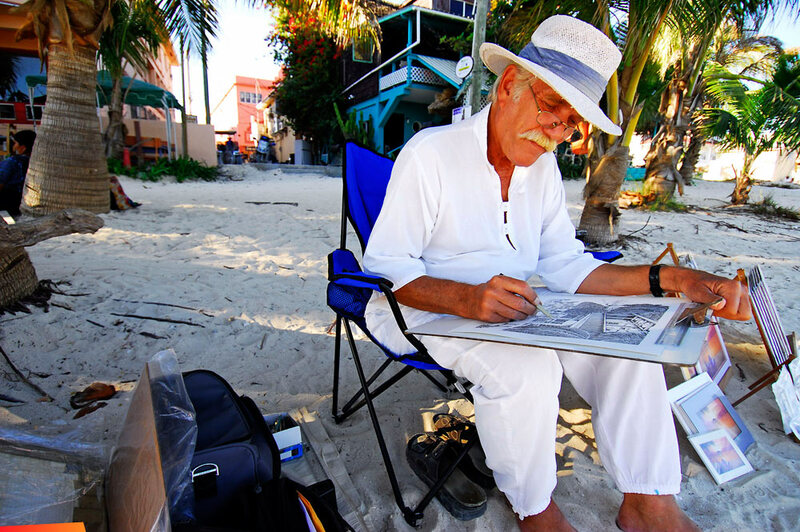 His drawings depict scenes from Caye Caulker, San Pedro and other places in Belize. 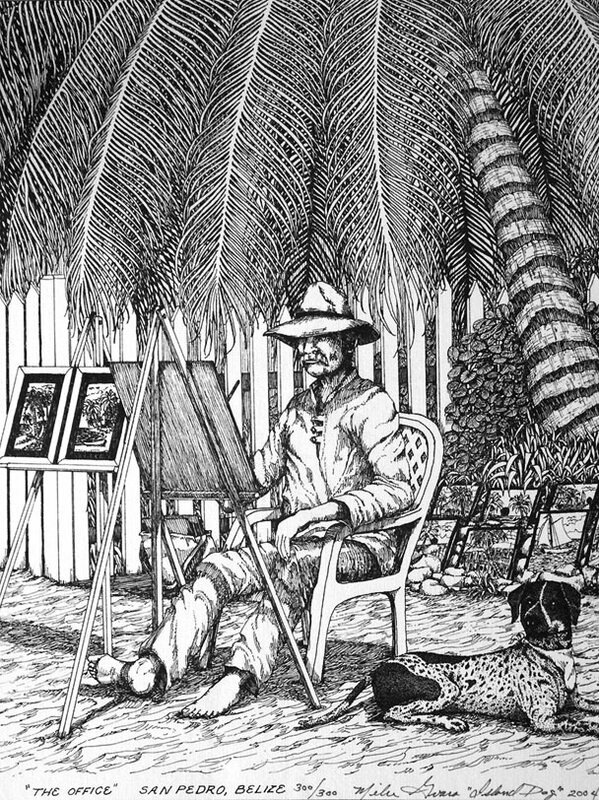 One of his most sought after drawings is a self-portrait named “My Office” which shows “Island Dog,” Mike’s artistic name, under two coconut palm trees with his paintings. This drawing literally shows Mike’s office. 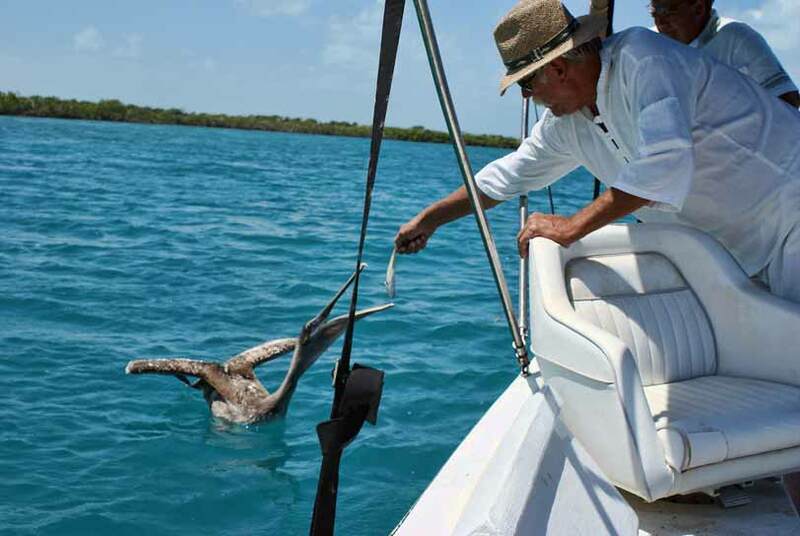 He can be seen daily (weather permitting) under the coconut trees on the beach north of Ramon’s Village. Here he displays his various drawings, coconut carvings and now his new pumice stone carvings. He also makes personalized greeting cards and Christmas cards. His work has received so much recognition that he has been asked by many businesses to sketch their property. Some of these places include Ramon’s Village, Victoria House and Chan Chich Lodge. Island Dog’s humorous personality is very obvious in his original cartoons featured in The San Pedro Sun. Self portrait of Mike while at work entitled "The Office"
A dog and his dog. On Mike's porch. Time for "Catch of the Day!" Click here to comment on these pictures.